When I moved to Portland in 2004, my entire reason was for opportunity and culture. I LOVE LOVE LOVE LOVE art, ballet, the orchestra and more. LOVE IT! I grew up in Southern Oregon in a town of 1100+, one stop light and a graduating class of maybe 30?? And Portland is really like a mini San Fran in that respect. So, I'm completely ashamed to say it took me, ohhhhhhh, um SEVEN years to get my behind to the Portland Art Museum! Just life, you know? Sad, but true. So, my hubby and I took the day off and visiting the Jubitz Modern & Contemporary Art Wing was at the top of my list, on the top of his was some Automobile exhibit :)...such a boy. And, the cool thing, is when I moved to Portland, my first position was the Marketing Coordinator for Jubitz Inc and I had the priviledge to work with Mr. Fred Jubitz, who is THE Jubitz the wing is in honor of. His family is amazing and I'm so thankful to know him. 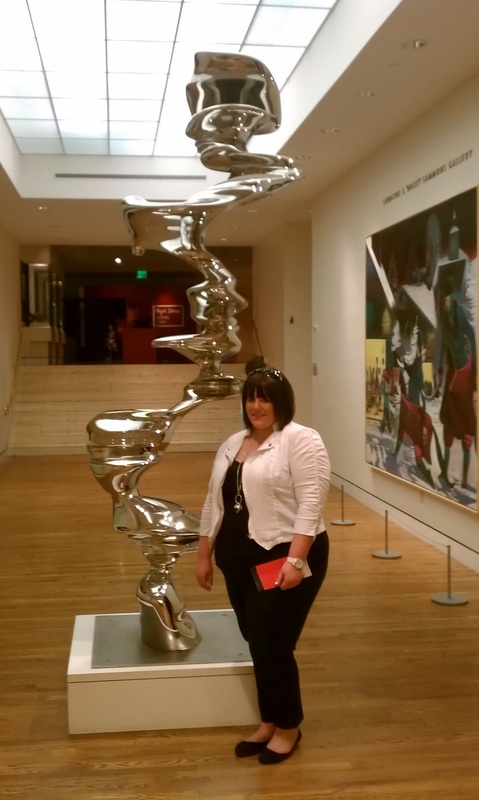 Here's a silly tourist pic of me and my favorite piece I saw - truly AMAZE - better in person. And, can you believe I was all flustered I forgot to see who the artist was!!!!!!!!??? 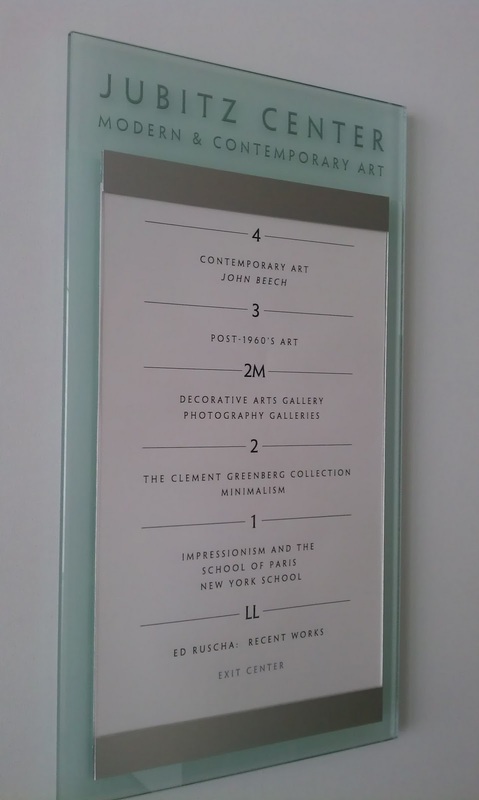 :( Plus, of course I was tearing up on the 1st floor full of Monet, Degas and more! So awesome!! Visit www.pam.org for more information!